I grew up in the country, near a small town called Helensville where every February the Agricultural and Pastoral Show comes to town. 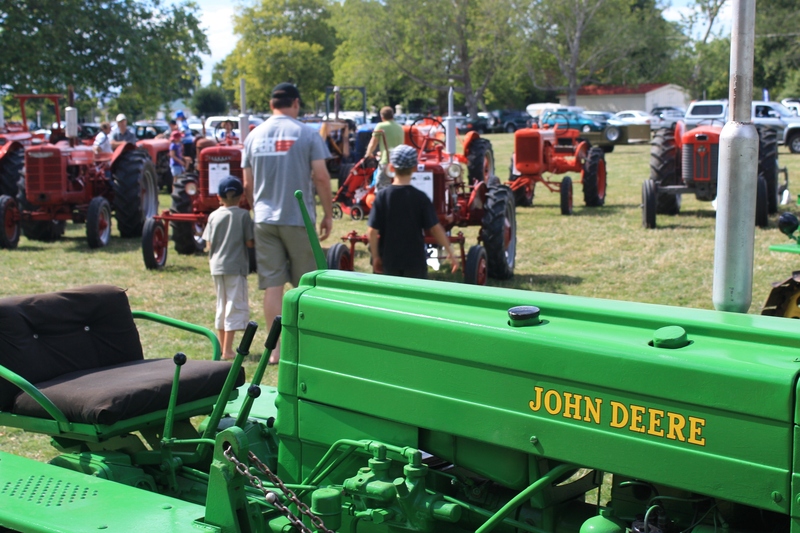 Many rural centres in NZ have an A&P show, an event that brings together town and country in an organised mishmash of animals, farm machinery, various outdoor pursuits, arts/crafts/baking, equestrian events, sideshow games and rides, and more. 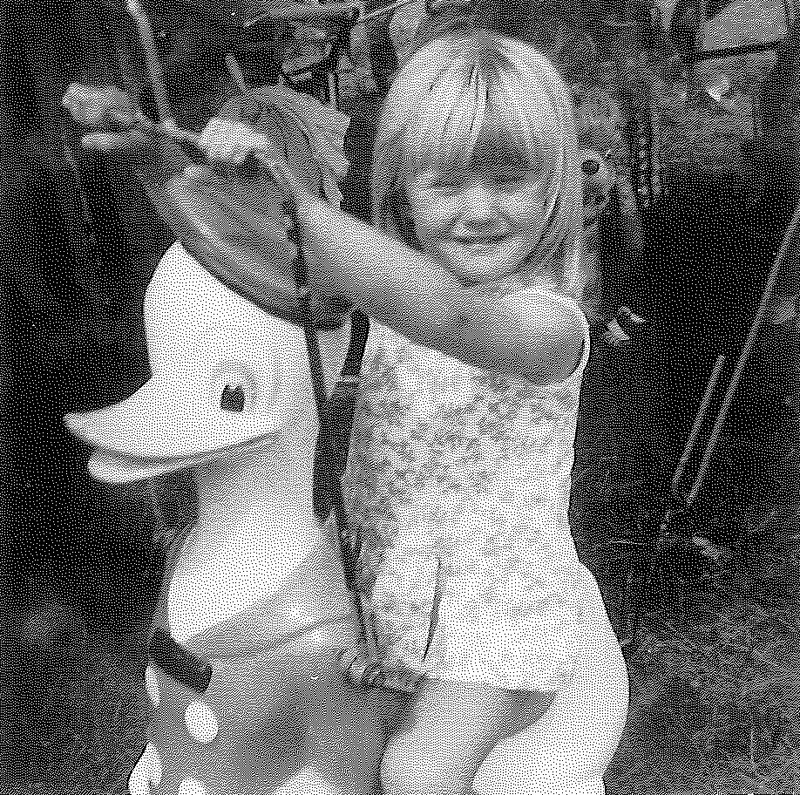 When I was little, going to the A&P show was a big day out. 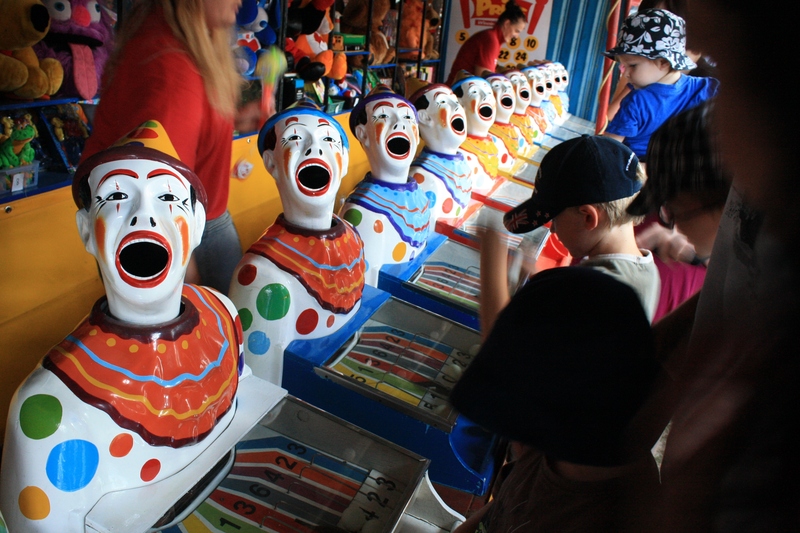 Prominent memories are decorating sand saucers for the home industries shed, candy floss, getting ripped off at a sideshow game, that game where the clown heads swivel back and forth, shaved ice, buying pet fish one year with a friend, and the ‘Sizzler’ ride. 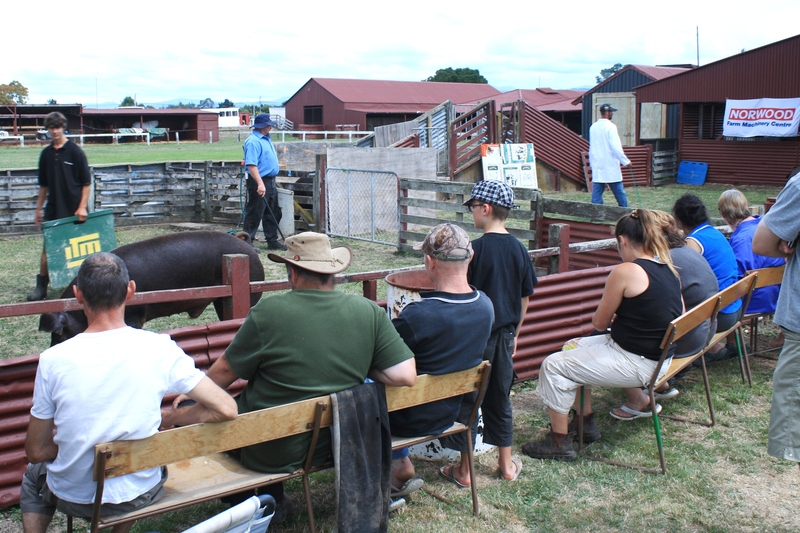 Anyway I digress: Mike and I saw an ad for the Masterton A&P show and decided to plan a day trip with his children. Mike hadn’t been to a show before and given my vast experience in such matters felt he had to rectify this cultural deficiency. Masterton is about 1.5 hours north-east of Wellington in a region called the Wairarapa. It’s a nice drive and I love going ‘over the hill’ though we don’t do it often enough. It was a hot day. The showgrounds were on the outskirts of town and once in the gates and parked, everyone got a liberal dosing of sunscreen. The show attractions were fairly well spread out and our starting point was the main pavilion which housed this year’s bumper crop of home industries entrants. Didn’t see any sand saucers. For the next few hours we wandered past a man carving wood with a chainsaw, a collection of tractors and old water pumps, horses, sheep, a 4-wheel driving competition, horses, pigs, wool and horses. We spent a bit of time in with the sideshow games and rides to give Josh and Flynn a few new experiences. 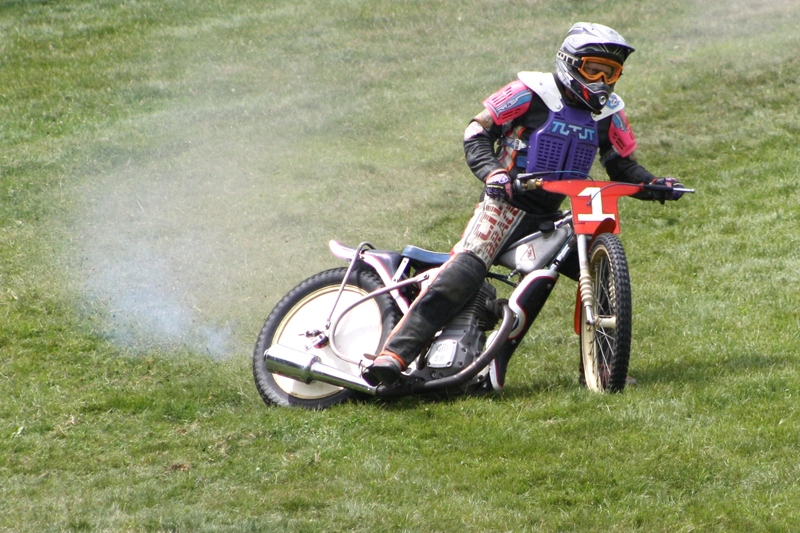 For me though the day’s highlight was a display of old speedway bikes by their old owners around part of the old speedway track – though the pig judging was also very interesting! I guess I expected a bigger show, at least compared to Helensville’s, but nonetheless it did confirm that this is one tradition that is still going strong. Lovely photos. 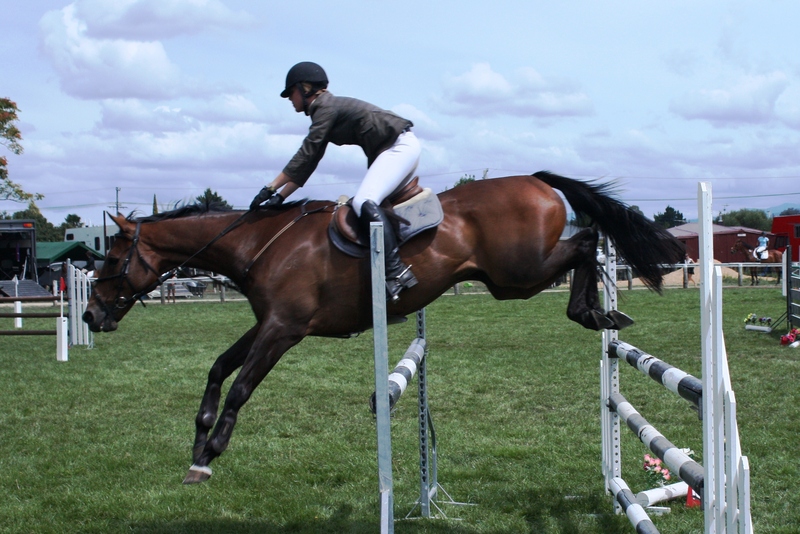 I especially love the show jumping photo. My granddaughter has a mare and she loves riding. Thank you. It’s always quite impressive seeing horse events in person.